When English settlers sail to the new world to plunder gold, they run into trouble with a Native American tribe. Conflict breaks out between the two groups, and Chief Powhatan orders his men to avoid the newcomers. 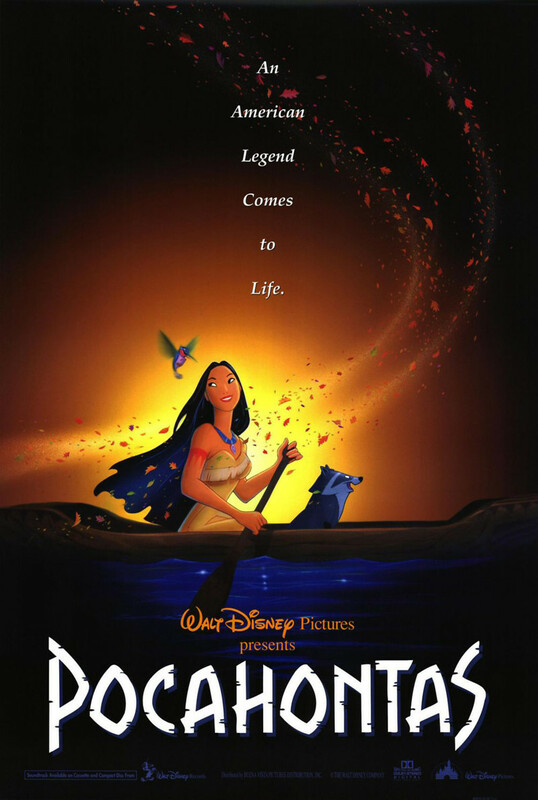 The chief's daughter, Pocahontas, ignores her father's command and falls in love with Captain John Smith. When Smith is captured and sentenced to execution, Pocahontas must risk her life to save him and prevent further fighting between her tribe and the Englishmen. In the scuffle at the execution, Smith takes a bullet aimed for Chief Powhatan and is forced to return to England for treatment. His injury and Pocahontas's bravery create peace between the opposing forces, and Smith leaves with an invitation to return to Pocahontas once he has healed.